Be a better man than what your spouse is used to having. Not that it is a competition; but don't be just like the clown she was with before you or you might end up where he is! lol. If you have a good woman then consider this. If the last guy that she had was a real man and knew how to treat her she probably would still be with him. We may not even know how to be a good man or awesome partner in a relationship. Therefore there are plenty of ways to become a better man. If we were not taught or modeled this during childhood by our parents or by the relationship between our parents, then guess what. Likely we are lacking in that area. That is when we were supposed to learn the fundamentals about developing strong relationships. So if that was missing, up until this point of you realizing that, your behavior hasn't really been your fault. You probably didn't realize that you haven't been doing it that well. You are being the type of man or partner in a relationship that you know how to be. But now since we are looking at this from a big picture perspective and you see if with a more intelligent and thinking mind, you are in the driver's seat. You can improve and even if you're a good man, you can be an even better man and especially a better partner in relationships. I was lucky, while I was still in high school and girls were calling the house like crazy and I wasn't even answering the phone. My Dad said, "Jr, you realize that these girls are people too right? They have hearts and feelings just like you do." So that was my intervention at a young age. I have come to realize that most guys didn't certainly didn't get that same advice and sometimes they might have gotten the opposite. Especially if a Father wasn't there and the dominating authority was hip hop or the culture in general. So my point here is don't be defensive about this topic or what I suggest. See if it makes sense. If it does use it. If doesn't make sense to you, I ask that you be honest about what you were taught about being a good partner in a relationship, not what you picked up from the street, what you were taught with the intention of being a quality person and partner not teachings of taking advantage of women and being self centered. If you know you didn't get any type of insight or training, find someone who has a relationship that you admire and talk to them about what makes it work for them. I learned a lot that way as well. Another thing that helps you be a better person and therefor a better partner is self improvement or personal development. That is because it will help you to see things from a bigger perspective and more objectively. Just like we are looking at this issue right now. But supposed you looked at life in this way. Your relationships improve, your time management improves, you ability to make money improves, attitude improves, health improves, etc. Your life improves because you as a whole person improves. So consider that. I have books, CDs, etc. for sale. But you can find the stuff everywhere. Buy it from someone, doesn't have to be from me. If we don't intentionally get info to help us do it right, information that we come across fills that void. That's TV, people attitude toward their spouse in entertainment and our peers. Many of our peers will cheat, be disrespectful, bicker with each other, etc. So none of the mention influences will help improve your relationship skills. So if you love your woman don't just say it, show it. Always try to improve to be a better person as well as a better man. Think of what she goes through being at home with you away over the road. Remember what most people think about truckers. Because of this, you really can't afford to be a slacker in the relationship because it will make it easy for her to think you are one of those truckers that she hears about. That definitely won't help her be the type of woman you want at home. If you expect to have a quality woman waiting for you when you get home from the road,you are going to have to be a quality guy. Most good, smart, mature, stable minded women are not going to put up with a bunch of abuse or neglect. Express your appreciation and love for her being that woman you deserve. Let her know she chose a the right man, a real man. Treat her like she is the best thing that happened to you. Based on my communication, you shouldn't assume that you are expressing love. You should ask what things makes her feel loved and lets her know that you care. If she seems to be acting like there is something bothering her, it may be that she does not feel secure, loved or important to you. Encourage her to communicate with you, show that you are concerned. Maybe most importantly though, communicate with her about what is going on with you. If you are highly secretive, that might be part of the problem. You she is not part of your planning or has some insight on it, of course a smart women who actually wants a future with you might feel unsure about where you place her in your plans. If you are thoughtful, she will be thoughtful. 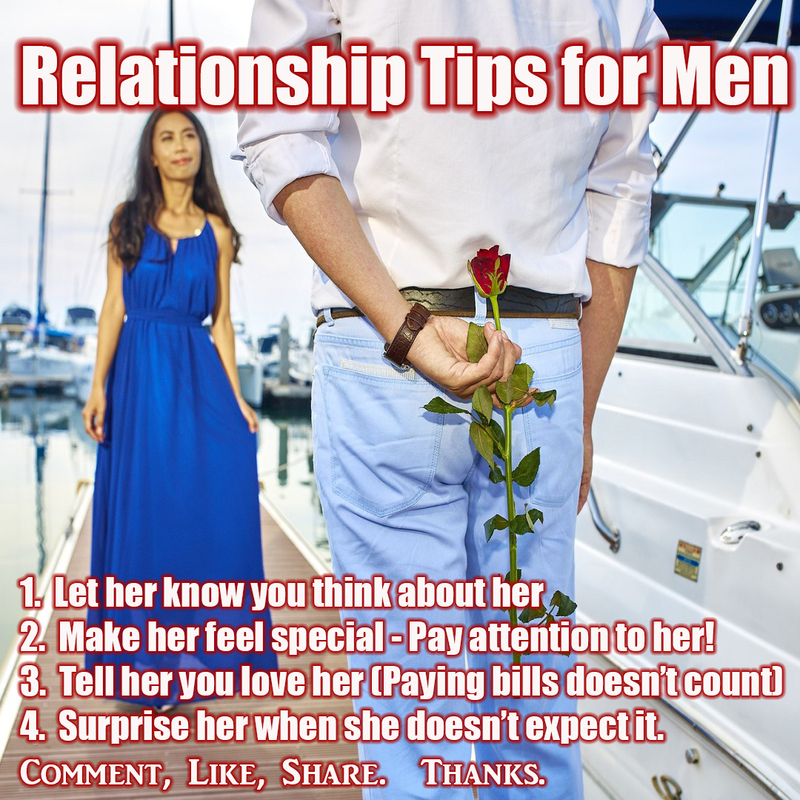 Show her love and affection and she will give you respect and show appreciation. Show her that you are always thinking about her. She will feel safe, secure and confident. Include her your thoughts about the future and she will not wonder about the relationship. And you will have a stronger bond. If you are in question about how you are treating her, or about the things that you should do while on the road, just put yourself in her shoes. If she was treating you like you are treating her, would you like it? That one exercise will solve a lot of problems. Don't get caught up in online relationships, thinking it is just a way to waste time. It's a poor irresponsible choice that won't end well. You could have ended up with a real sleazy, gold digging, drama mama why not treat her like a queen if she is a queen. Leave a note for her to come across when you leave, telling her what she means to you or even just saying have a nice day. Leave her some dark chocolate under her pillow to find when she makes up the bed after you leave with a not saying, "I can't wait to see you". Call her sometimes just to let her know you are thinking about her. She shouldn't wonder how you feel about her, she should know without a doubt. It's easy to let those little expressions of love fade when you are a trucker over the road dealing with so many issues everyday. You will have to make a conscious effort to be that better man. It's easier than you think to be a better man. You may be very pleased and surprised at the reaction you get. If you love your woman and want her to remain your woman, this advice could serve you well as a trucker. But if and only if you choose a good woman from the start.